As we all know Turmeric powder is one of the important ingredients in our Indian Cooking. Apart from giving the color to the dish turmeric root has numerous health benefits. This chutney recipe is using the fresh turmeric root. In this particular recipe we have to use fresh turmeric root to prepare the chutney. This is Vegan, gluten free, and No onion no garlic chutney. 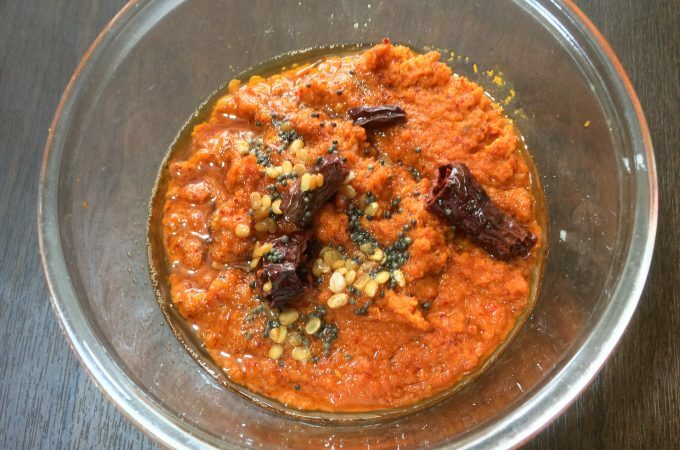 This turmeric root chutney goes well with rice, rotti, roti, idlis…. Payasa/kheer/payasam can be prepared from many different things like Fruits, dals, rice you name it. Each payasam is has its own flavor and taste. 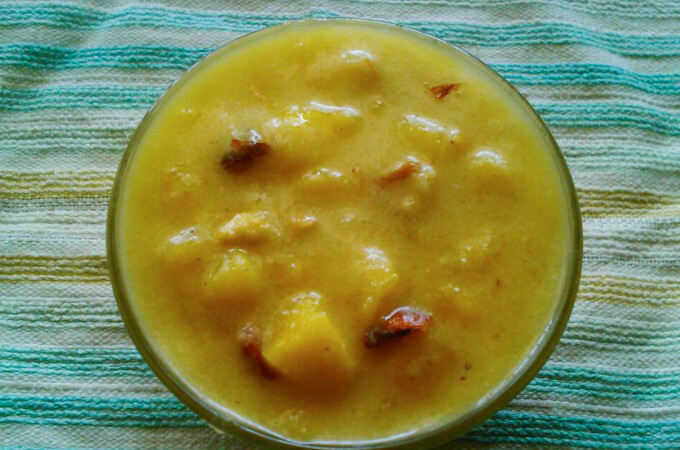 Here is one of my favorite payasam using jackfruit/halasina hannu. It is very easy to make. Make sure you prepare this during the Jackfruit season and enjoy! When I was reading about this seemebadane kayi/chayote Chayote/Bangalore Brinjal/Chow Chow I found out it is actually a fruit. I always though it is a vegetable. 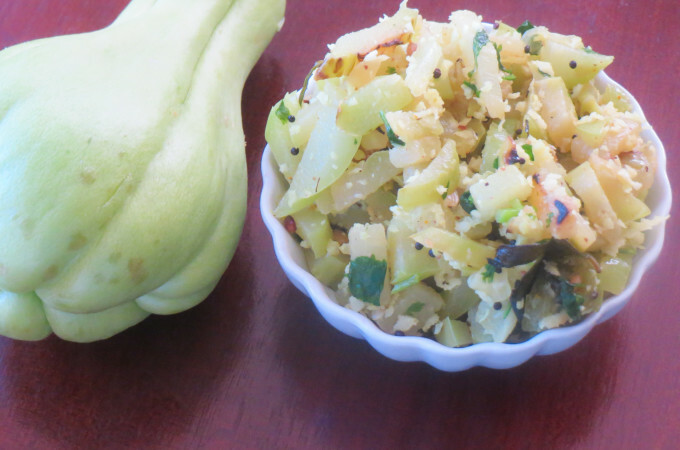 Chayote is low calorie, high fiber squash with excellent source of Vitamin C, and folate. Seeme badanekaayi also contains antioxidant flavonoids that help to destroy harmful free radicals. We can make chutney, sambar and use this with many other vegetables and also see many Mexican dishes calls for Chayote.For weight loss this is one of the fruit/vegetable you should add to your diet. 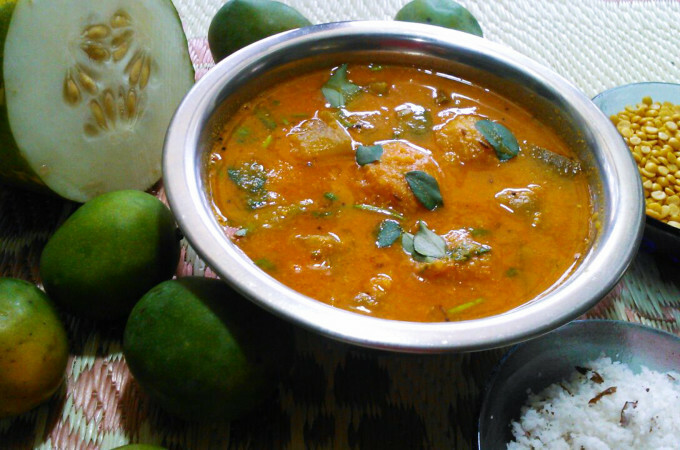 Here is a simple recipe of Chayote palya/Stir fry.